A biographical drama, Trumbo is a sharply written story of career survival set during the post-World War Two Red Scare. It's the late 1940s, and Dalton Trumbo (Bryan Cranston) is one of Hollywood's leading screenwriters. He is also a proud member of the Communist party, along with several other prominent film industry figures, including fellow writer Arlen Hird (Louis C.K.). Dalton is happily married to Cleo (Diane Lane) and his children include the precocious Nikola (Elle Fanning). With the Cold War taking hold, a wave of anti-communist sentiment sweeps from Washington DC to Hollywood, fanned by gossip columnist Hedda Hopper (Helen Mirren). As a matter of principle Dalton and his fellow communists refuse to cooperate with the House Committee on Un-American Activities (HUAC). Convicted for contempt of Congress, Dalton serves time in prison, and is placed on the notorious "Hollywood 10" blacklist, barred from working for any studio. Meanwhile, other communist sympathisers including Edward G. Robinson (Michael Stuhlbarg) do testify to save their careers. Once released Dalton has to find a way to make a living, and Frank King (John Goodman), head of low-budget King Brothers Productions, offers a lifeline of endless uncredited work. 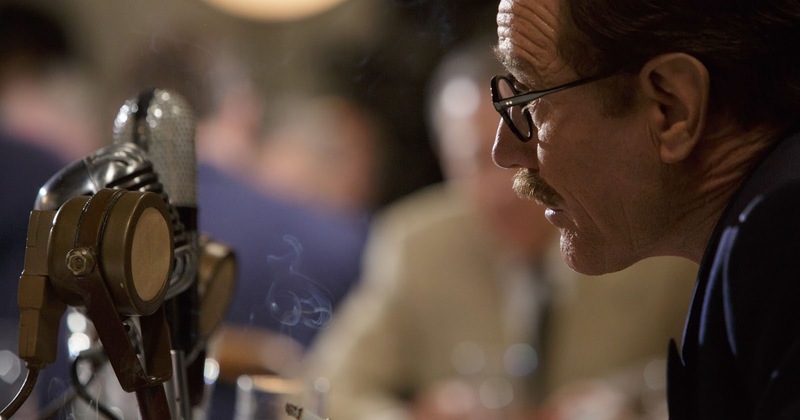 Directed by Jay Roach and written by John McNamara, Trumbo is fascinating, witty and often quite funny. Both a character study and a cautionary tale about social paranoia, the film sparkles with the cantankerous yet phenomenally smart and articulate personality of Trumbo, and the remarkable post-war U-turn when communism was transformed in the public consciousness from great ally capable of defeating fascism to a feared existential menace. 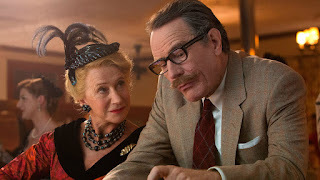 The film does not shy away from presenting Trumbo as a man full of faults and contradictions. He enjoys his success, living on a large farm with all the luxuries afforded to the fortunate by capitalism. 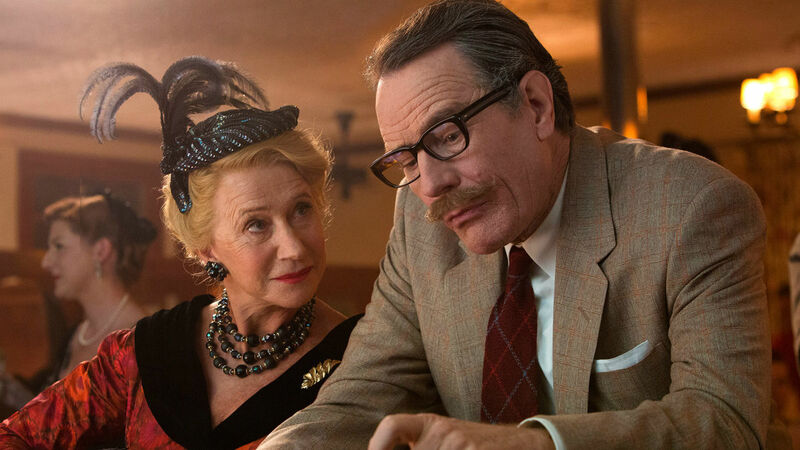 And when the strain of making a living through round-the-clock writing becomes nearly unbearable, Trumbo lashes out at his family members, hurting those he is trying to support. Trumbo boasts a remarkably talented cast in top form. Bryan Cranston delivers a career-defining performance, embracing the writer's flawed humanity and happily occupying the inconsistency of a proud communist enjoying all the riches that a life of celebrity has to offer. The character of Arlen Hird is an amalgam of other communist writers, and Louis C.K. portrays the more idealistic stream of left wing thinking, more willing to resist the system rather than work within it. Helen Mirren makes the smug Hedda Hopper an obnoxious and hate-worthy gossip, a representation of self-appointed thought police, pouring gasoline on the flames of public fear and wielding disproportionate power. John Goodman as Frank King introduces bombastic levity, and his scenes add a whole new dimension to Trumbo, providing insight into the wondrous world of successful low-budget studios. Diane Lane, Michael Stuhlbarg, and Elle Fanning all make notable contributions. Trumbo succeeds as a portrait of a remarkable man and even more so as a critical commentary on the lunacy of fear-driven social agendas.